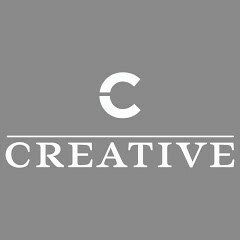 Since its founding in 1977 by four enterprising women, Creative has been a results-driven organization. In Afghanistan, for example, its workforce development program addresses the problems of high unemployment, the scarcity of technically skilled labor and trained business managers. By 2016, the Afghan Workforce Development Program trained more than 27,000 people—of which 36 percent of them are women. In Honduras, the Youth Alliance program works with communities, municipalities and the private sector on strategies to reduce crime and violence. It has established 46 Outreach Centers that provide hope to 28,000 at-risk youth. Through a structured program, they receive mentoring, academic tutoring, life skills, vocation training and more. In Nigeria, the Education Crisis Response program is collaborating with communities and education officials to provide literacy, math and psycho-social support to more than 51,000 school-aged children who have been displaced by violent insurgents. Thanks to the support of international clients, multilateral donors and the private sector, today Creative has active programs in 25 countries. Creative has undertaken projects in more than 85 countries. Today, Creative counts on a professional staff of nearly 1,000 people around the world who are committed to working with government officials, the private sector, civil society organizations and community members to realize the positive change they seek.